Hello Friends, I hope you have been well! I have been traveling lately, and am on my way home. I hope you had a blessed Easter celebration, and may you continually experience blessings from above until the next Easter! 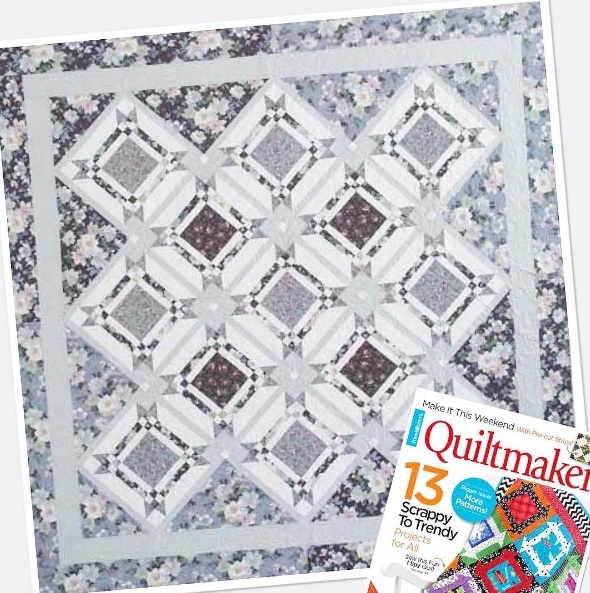 Today, I am happy to share with you a gray quilt that is featured in the current cycle of quilting publications, the latest issue of Quiltmaker (May/June 2017). You know how I love gray — and gray floral is the name of the game for my Highland Roses quilt! 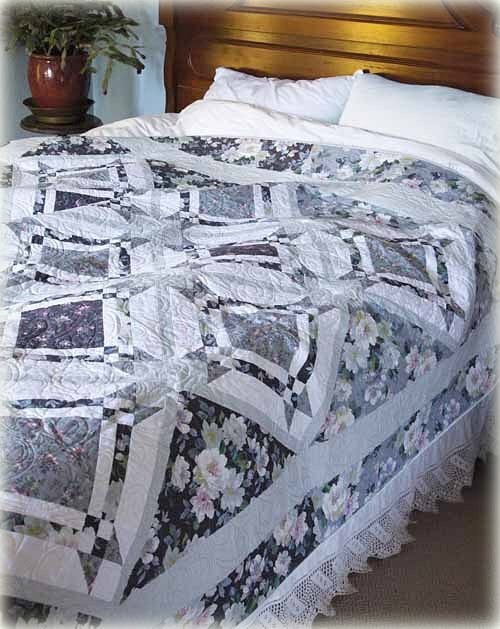 This is a 80″ x 80″ bed quilt that is made of simple blocks, set on-point for a deceivingly complex quilt. 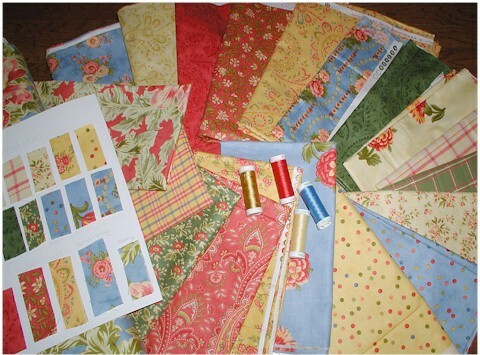 :) I hardly ever design difficult to construct quilts. :) In this shot below, you can see the florals much better. 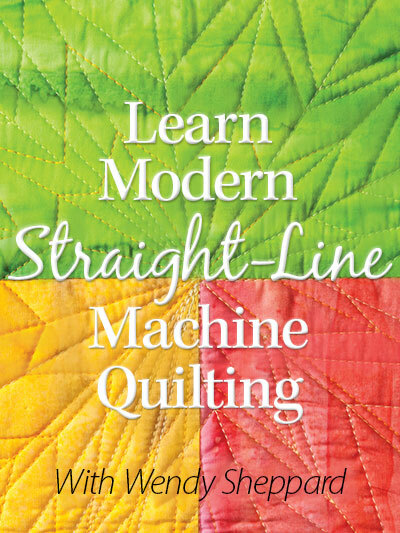 Complete instructions are presented in the May/June 2017 issue of Quiltmaker. You may pick up the issue on newsstands, or purchase the digital magazine here. 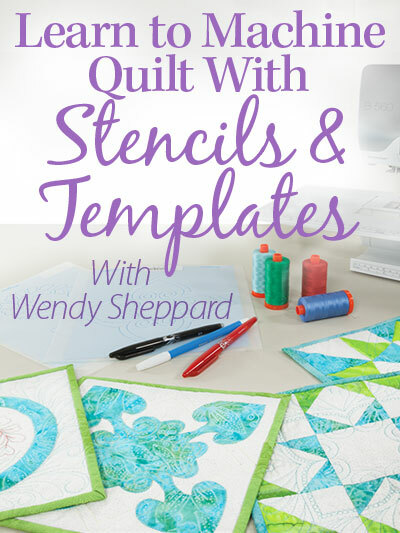 Exclusive quilt kits are available for a limited time here. 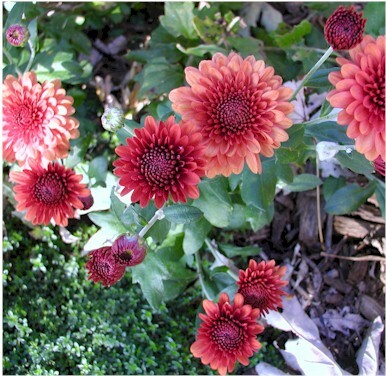 Flowering Tree – kits are available for $69.99 here. Any of you are gray fans out there, please raise your hand? :-) Thanks for stopping by. I shall catch up with you later. All That Glitters & Shimmering Constellations & Giveaway Winner! Happy Monday, Dear Friends! I hope you are doing well. It seems like months ago I was asked to design with Benartex’s Gold Standard/Simply Sterling collection! SO it is fun to see another of my designs made it to the final round this year. I am hoping you would go vote your Benartex’s FAN FAVORITE design for this year. I would be so honored to have you vote for my Shimmering Constellation. But I do want you to vote your consicence. :o) Click HERE to go vote! Voting closes at 5pm EST on April 4, 2016. 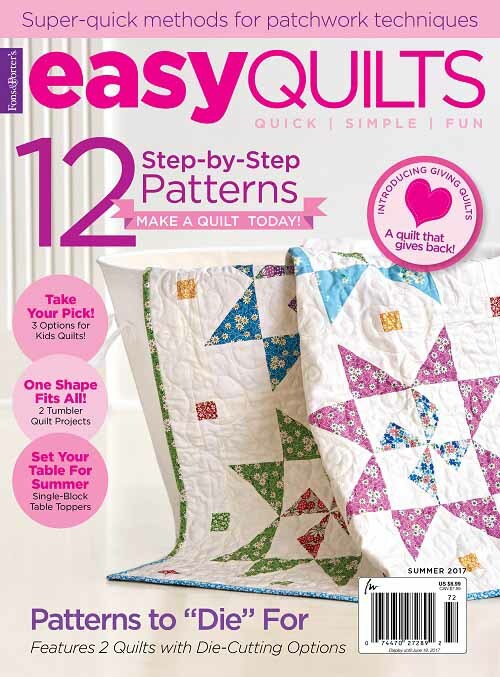 I actually had an editorial feature using the Gold Standard/Simply Sterling fabrics in the December 2015 issue of American Patchwork & Quilting. This is a bed-size quilt, and it is another “Sawtooth Star” design! 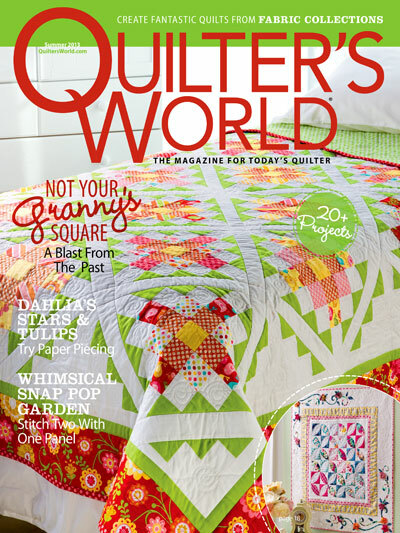 Last year the quilt was displayed at American Patchwork & Quilting’s booth during Fall Market last year. There was this really cool app at the booth where designers could customize the cover of a particular magazine issue in which their quilt is featured. 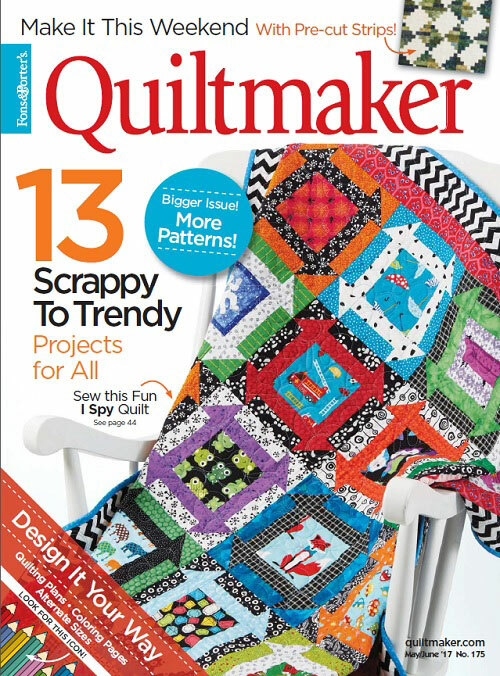 Since I was the “loser designer” who didn’t get her quilt on the cover, it was really fun to “live” the moment (a very fleeting moment, I might add) as if I was the cover girl! HAHAHA. 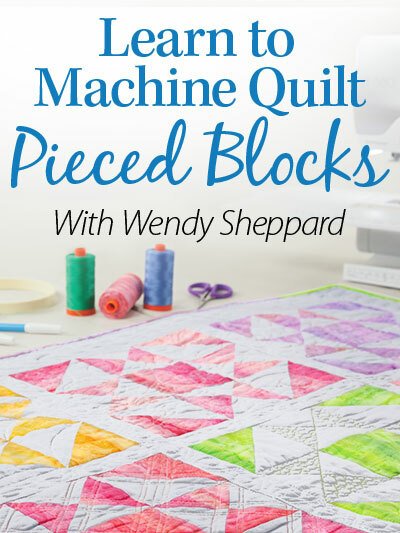 So, this is what the cover of American Patchwork & Quilting magazine issue should look if I had had the power to dictate… I had way too much fun with this app! Thank you for stopping by! Have a great week ahead. We will have quite a bit to cover this week at Ivory Spring. Check back often for happenings! Hugs to you all. Hello Friends, I have another free-to-use pattern to share with you today. This one is a bed quilt I designed for Quilting Treasures using their newly released line Ariel, which features floral prints that are fresh and sweet! I hope you enjoyed seeing my Ariel bed quilt. 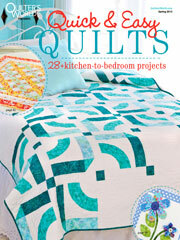 Curious mind wants to know when the last time was you made a bed quilt. Thank you for stopping by. I shall catch up with you later. 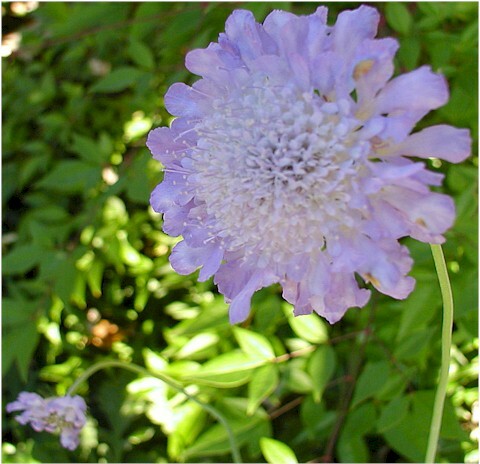 Have a lovely rest of your day! Thank you for visiting me. I have really appreciated all the kind comments you have left regarding my winning the “Old Tippecanoe Block Challenge” — you are the sweetest bunch! Please let me know that you’ve been here so that I can visit you back! Happy a great Wednesday!